the dUCkscarves : my honest review | escaped. When I was younger, I experimented with a lot of different scarves - materials, shapes, sizes, colors and styles. That was one thing I'm thankful about, because the "hobby" kept me busy during my uni days and entertaining others, too. My Japanese labmates used to see me one day and go, "that's nice color you're wearing" when I wore a shocking pink scarf and on other day, "what fashion is this scarf, I'd like to buy" when I wore the once-famous tudung Siti lol. "What is that thing on your head? Is it new in fashion?" I think being in Japan and spending my uni days (aka experimenting fashion days) in Japan has its perks. They don't judge (well, not when it comes to religion, mostly) and I get to vary my scarves-styling a lot, without being stared at too much. Thankfully, those days are long over. Nowadays, I rely on my lightweight pashminas for my carefree outings, and proper long chiffon scarves for more formal looks. And I realize that I've grown accustomed to a certain style, which makes me even more fussy in getting new scarves. And then, I discovered dUCkscarves. But then. they came out with more new materials. At first, I was skeptical as most satin scarves I used to own were too much hassle to deal with - they move on your head easily, sometimes too thick and not for one who likes simplicity or hassle-free. But I was surprised when I got the dUCk's satin silk - it is a whole new level. 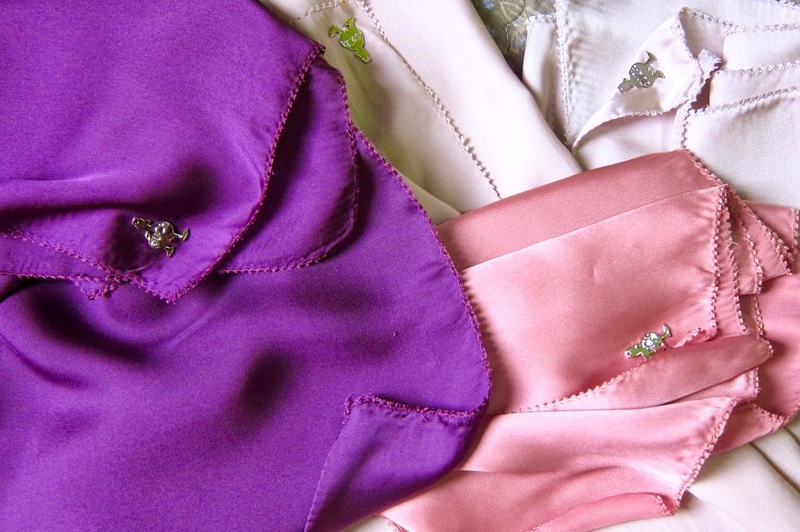 It's not the regular satin - it's the high quality satin silk, not very thick but still opaque, and very shiny. Transformed your outfit 360 degrees from simple to ready-to-rock-the-carpet look. And very comfy, too. I'd say it's more to silk than satin. Soft but not too soft, shiny but durable. And I wear them all the time. I chose Buttermilk because it looks nice in pictures and weirdly, doesn't seem too white. I needed a neutral color in my scarf wardrobe, too. When it came, I tried it on..and fell in love. They're all neutral colors and suit my everyday outfits perfectly, that I no longer have headaches everyday trying to figure out what to wear haha. My verdict? It's my favorite material so far! Soft, stays perfectly on your head and easy to style. When I read the reviews, a lot of them say they're easily crumpled - which in this case, is true. When I'm holding Rayyan, it will crumple easily - but still, I don't find that such a turn-off. Why do you have to keep your scarf so crumpled-less, anyway? It will get crumpled at some point, even when you're wearing a different material, so I guess I've learned to live with it rather than stressing about it. My third favorite from the line. Simply because the scarves I have previously were georgettes, and this looks so much similar - only with better quality. And yes I wear them all the time, too. Cost a lot for each piece (RM120! ), but it's a trend nowadays where a lot of dUCks selling their preloved dUCkscarves at mostly 80% or 90% of the original price. Which is still a lot in second hand market considering; but as long as there are people who are willing to buy them, I don't see why others would want to sell it at half or quarter the price they paid! And as long as the scarves are in mint condition, too. If I have more money, I'd get all the colors from bamboo cotton and satin silk lines. It's one of their specialties; the gorgeous colors, I think. I find that there aren't many reviews on dUCkscarves on internet, so I hope this post is somehow useful to you. Good luck getting dUCk-ed! Ooh yeah I forgot to add the jerseys! Hehe. To me, they're no different from other jerseys in the market - except that maybe theirs are a lot softer and easy to deal with. Some jerseys I found are thicker. the scones look more brown toned in the picture you inserted but in vivy's it looks more pink toned. can't decide between toasted almond and scones so would love your help! thank you, rosewater looks pretty too but the colours are always so confusing since they appear differently in pictures. salam ramadhan! May I know the colours of the other two scarves in the first picture? I saw their limited edition ones and wanted it but couldn't get it in time as there were all sold out so fast. I don't even wear hijab so I have no idea if it will suit me. But at least I will have a nice collection when I decide to don the hijab in the near future. Hi, do you know where I can purchase this offline? Do they have a concept store or booth somewhere in KL? Haha sepp, I still stick with their Satin too! Arzu's silk is different from dUCk's, so I get the best from both worlds haha. Assalamu'alaikum. Hi, I'm from Brunei. Do you happen to know anyone who is willing to let go of S'pore Skyline? Waalaikumsalam, hi! Unfortunately I dont :( But you can check on carousell, thats where I sell and buy preloved stuff at good prices. Your review is promising and somehow meyakinkan myself to go and splurge on duck satin scarf. thank you.